Kick back and enjoy your favorite beverage while lounging in this Personalized Two Pocket Turkish Cotton Robe. 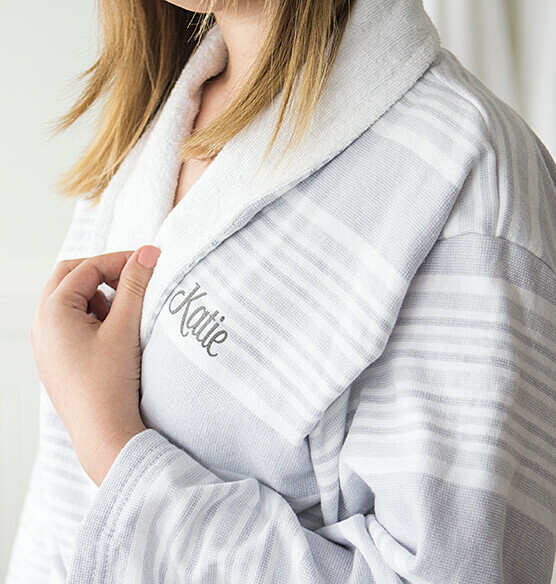 Crafted of 100 percent luxurious Turkish cotton, this terry-lined monogrammed robe feels ultra-soft, and is lightweight enough to wear year-round. An included tie allows you to adjust the cotton bathrobe to fit as loose or tight as you wish. 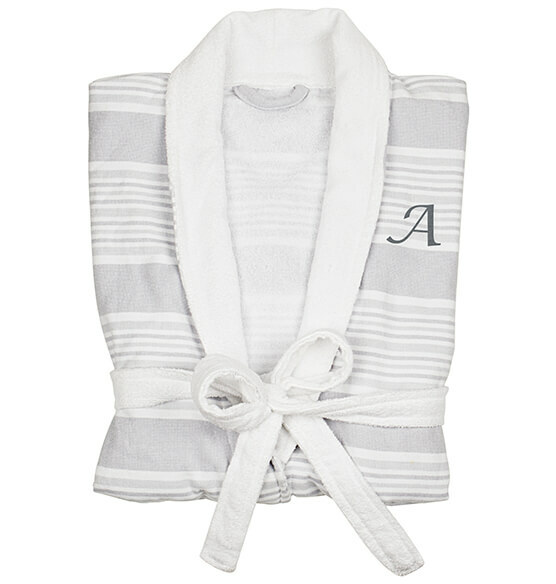 Chic stripes and your choice of personalization give this cozy personalized bathrobe added sophistication.